How do you wear a romper? No, like really. This was my question for a while when the romper/jumper fashion trend returned. They are simply adorable, but had never seemed extremely practical (I mean, a girl doesn't take a trip to the ladies room just for the fun of it). 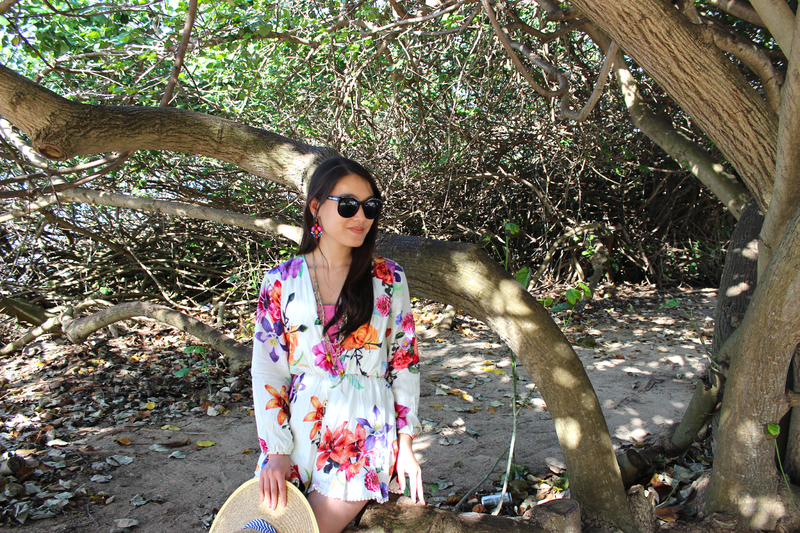 However, I gave in when I saw this adorable long sleeved floral romper. I think it was love or lust at first sight. While packing for Hawaii, I realized I didn't have a single cute swimsuit coverup. But when I laid eyes on this number, I knew it would be the perfect way to wear a romper & be more sensible for my trips to the beach! 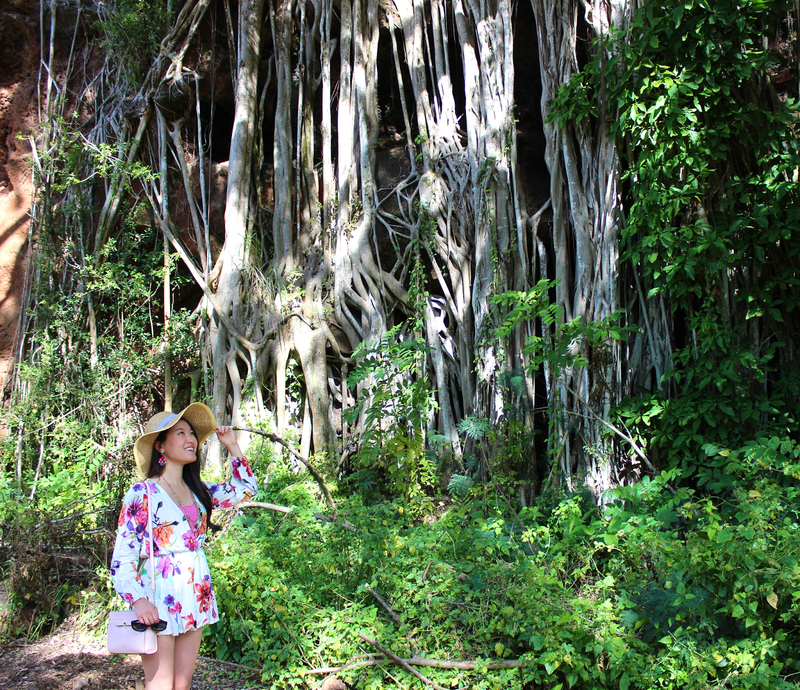 And I ended up loving the romper so much that I wore it as we explored the hiking trails and beaches of the BEAUTIFUL North Shore! This was - hands down - my favorite day of our vacation. 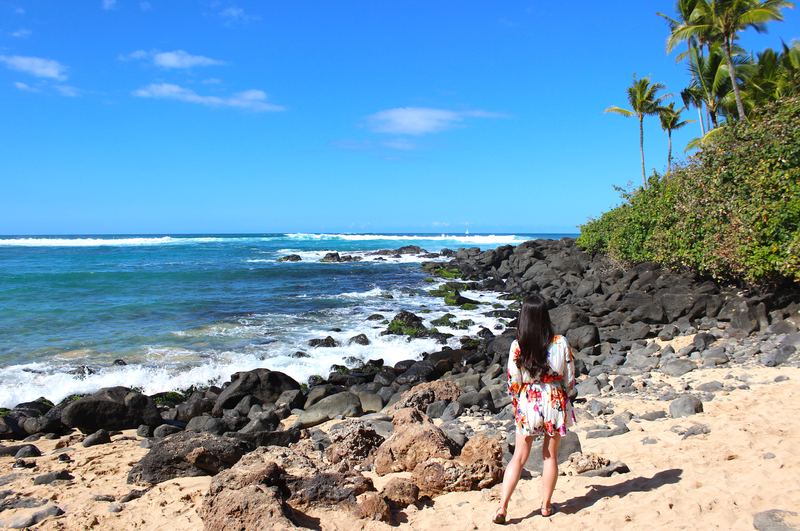 I was in awe of the beauty of the land & ocean our Creator created. Not a minute went by without me saying something along the lines of "this is breathtaking." Before I leave you with postcards from my favorite adventure, I want to remind you to enter the AMAZON GIVEAWAY! Enter now & enter daily for extra chances to win! Good luck & thank you so much for taking the time to stop by!! You're looking so adorbs in that flirty little romper!! This makes me want to go on vacation so badly! Such a cute romper! Thanks Monica!! I hope you'll get a chance to go soon!! Beautiful photos. Love the floral romper! That romper is gorgeous and these photos are all so beautiful. I want to be somewhere hot and tropical, right now. You are always so kind!! Thank you!! I hope you will get a chance to vacation somewhere tropical soon! Absolutely gorgeous outfit! I really like the pattern and style of that romper, I'm definitely picking up something similar for the summer! Thanks so much Madeline!! I hope you do get a similar romper! I'm sure you would look way better in it! Thanks for hosting the linkup & stopping by! Beautiful outfit! That romper looks great on you! I've always wanted to try rompers but I'm afraid I'll be too tall for them. lol! Thanks Julie!! haha maybe but it doesn't hurt to try :) You never know! 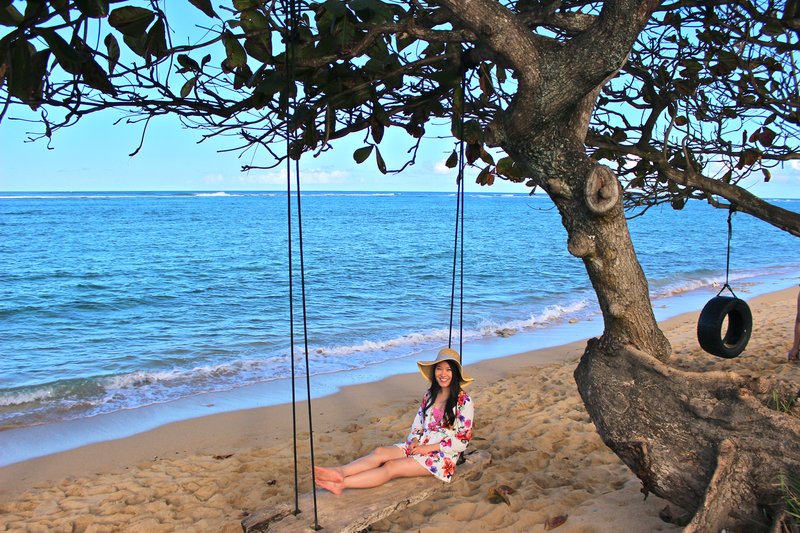 The floral romper is so pretty and this place and the photos are amazing! I would like to be wherever you are please! That romper is so pretty! I Need it for Summer! You should definitely get it for summer! Buying this romper for my next vacation! You look absolutely stunning. 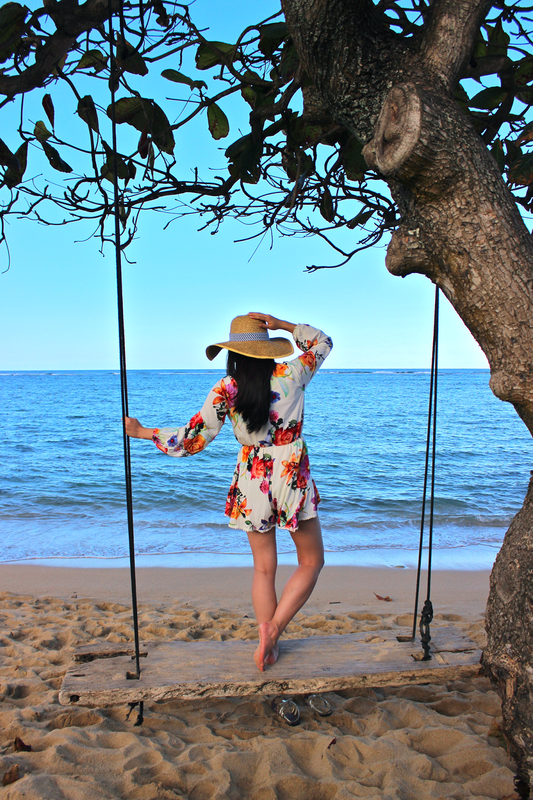 Your romper is gorgeous and suits you perfectly, the colours and pattern is beautiful. Such fabulous views! Gorgeous photos! I love the print of your romper. It's just perfect for the location! Thanks, Katie!! It's probably my favorite print of any romper I've seen! What gorgeous photos! 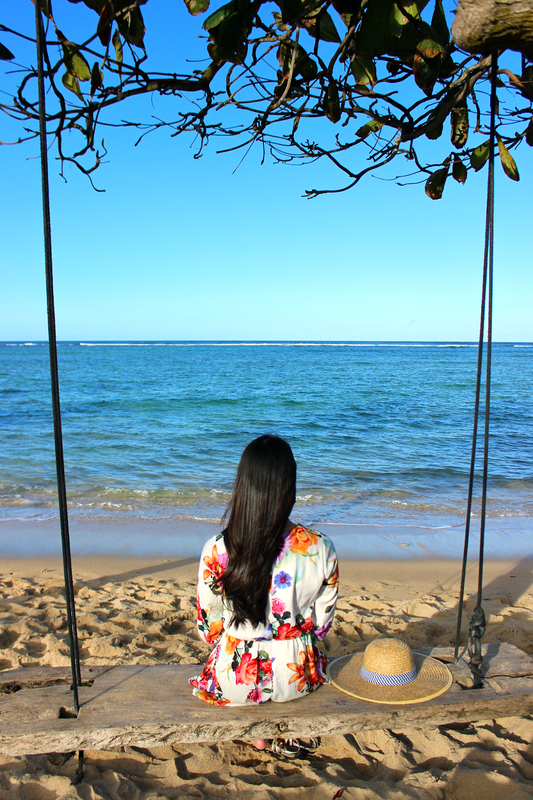 Hawaii certainly is gorgeous and so are you in that amazing romper! Thanks so much!! 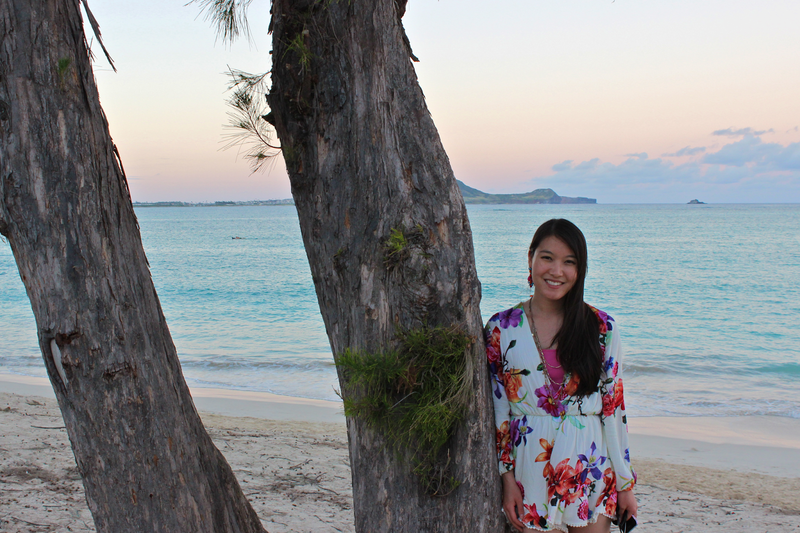 Hawaii definitely spoiled me with its views! Love this romper on you! And you are making me so home sick. These photos are gorgeous!! 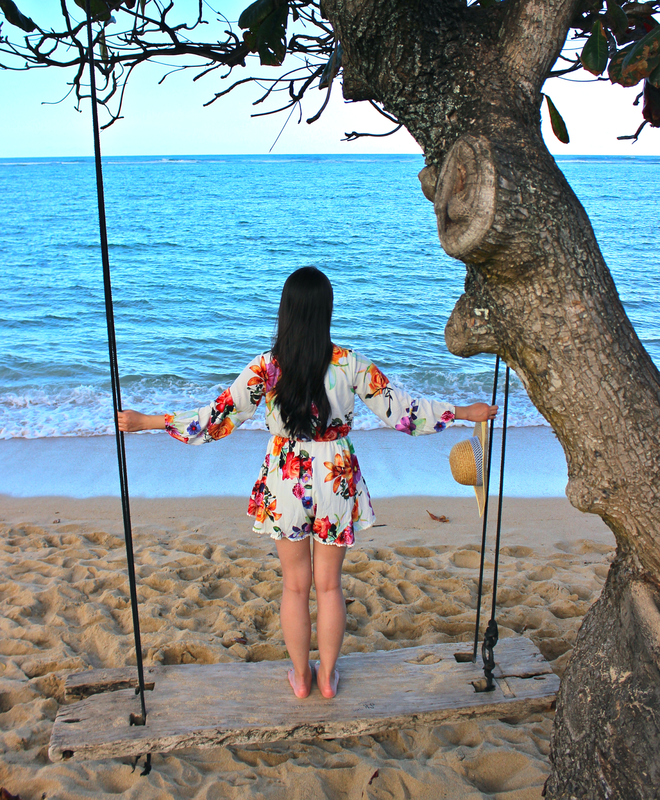 What a beautiful place and this romper is perfect for Hawaii.. thanks for sharing these shots! Beautiful pictures! The romper looks perfect! Visiting from the Trendy Wednesday Link Up. OMG!!! That scenery is A-M-A-Z-I-N-G!!!! Your romper was the perfect compliment! 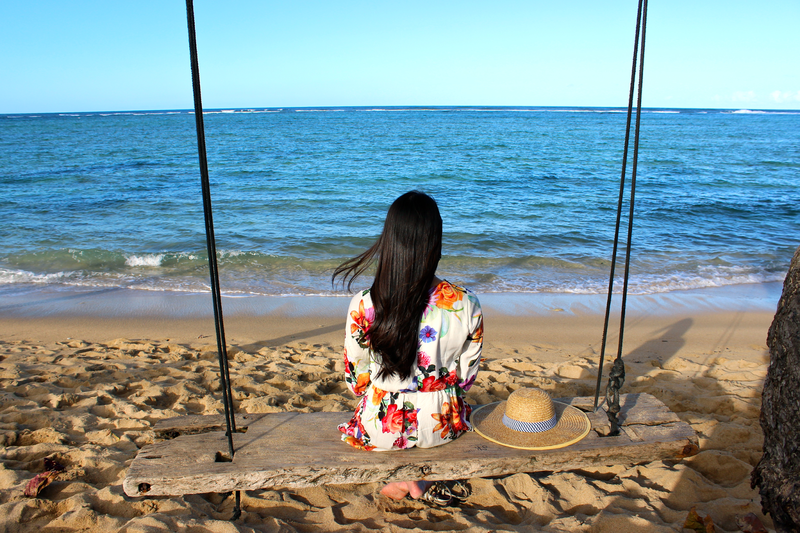 Such a cute romper...I wish I was in Hawaii! Looks fabulous!! you look too cute in this romper.... love it!